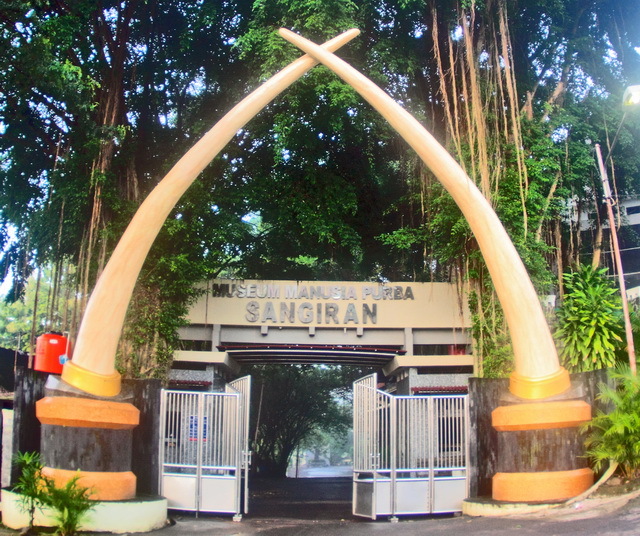 The giant ivory as Sangiran museum gate. There is a story, once in this place a lot of giants. The presence of a giant is shown by the existence of big bones. Although the bones are not intact but can prove, this is a giant bone. This is the story of Sangiran peoples. Sangiran is a district in Central Java-Indonesia. 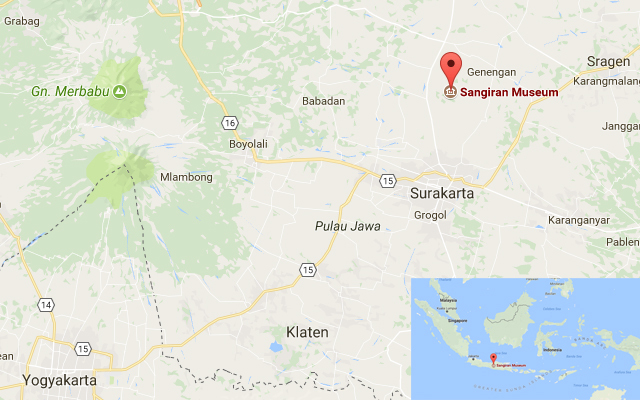 Sangiran is geographically located on the south side of Java island. The city became a border area of southern of Sunda shelf. 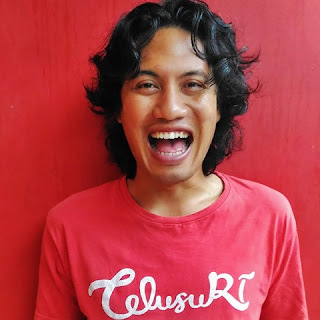 What is special, Sangiran on 2 million years ago is the basis of the past and is now a land. Sangiran became proof of the geological changes of how there is a collision of 2 large continent that can raise the ocean floor to the mainland. In 1996, Sangiran was set by UNESCO to be a world cultural heritage site. Sangiran is considered to be a manifestation of the changing world, flora, fauna and human development. Sangiran is a complete site about the changing world over millions of years ago. 2.4 million years ago, Sangiran was the ocean floor. The existence of the ocean floor with the discovery of fossils of marine animals such as; sharks, turtles, and shells. Given the tectonic activity, volcanic, and changing seawater change the bottom of the ocean into swamps and then land. 1.8 million years ago, Sangiran has turned into a swamp. The evidence of swamp formation is the existence of fossil fauna of swamps such as; crocodiles, river horse (Hippopotamus), elephants (Mastodon), buffalo (Bovidae), and Deer. 1.5 million years ago Homo erectus has also arrived in Sangiran. 900.000 - 300.000 years ago, Sangiran has changed completely to the mainland. Land animals more complete, because many found fossils of land animals such as; Elephant Mastodon, Stegodon, and Elephas. There are also other types of animals such as Tiger (Panthera tigris), Pig, Rhinoceros (Rhinoceros sp). This is the time of golden time. Homo erectus is also growing. If this is the oldest human being Australopithecus found in Africa. This kind of man has been around since 7 - 4 million years ago and claimed to be the oldest. 2 million years ago, then appeared Homo habilis. Homo erectus came from 1.8 million years ago. Homo erectus then spread from Africa to Europe, East Asia, and Southeast Asia. In Sangiran is famous for Sangiran 17 (S17). Sangiran 17 is the finding of human skull Homo erectus type that was about 700,000 years ago. Sangiran 17 is what makes the world uproar because this kind of human fossils is also found in several places in the world. 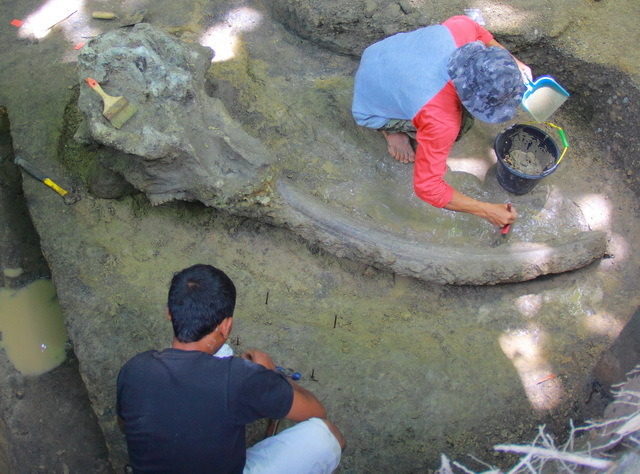 Sangiran 17 became evidence of the pattern of human spread from Africa to Java. If you go to Sangiran, you will be brought in today to 2.4 million years ago. You will see how the history of Sangiran used to be the bottom of the ocean and is now a land. The first evidence of Sangiran is the ocean floor can be seen on the Pablengan site. 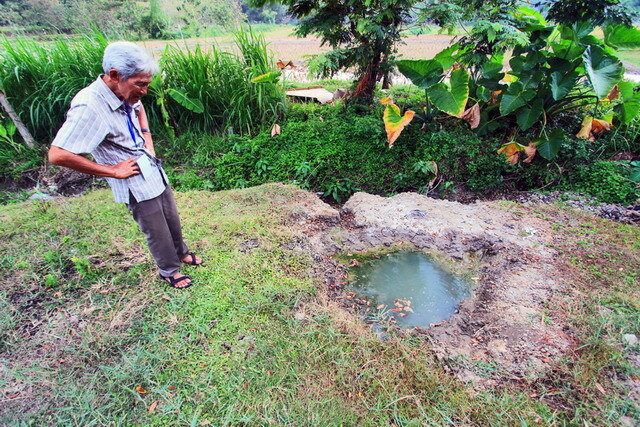 In Pablengan you can see the source of salt water coming from stuck sea water. Pablengan site is salt water sources. 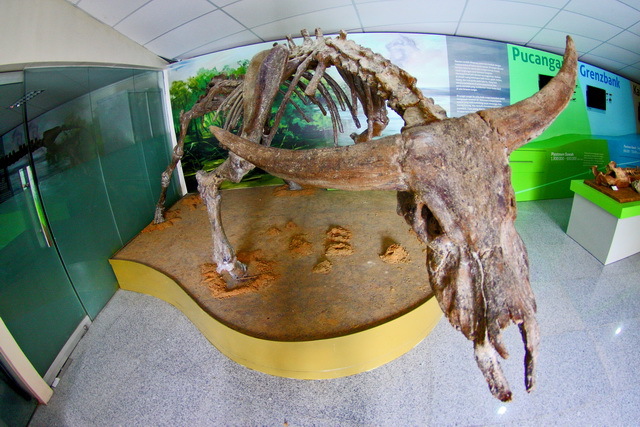 In Sangiran has built 4 museums that describe each of Sangiran geological changes. 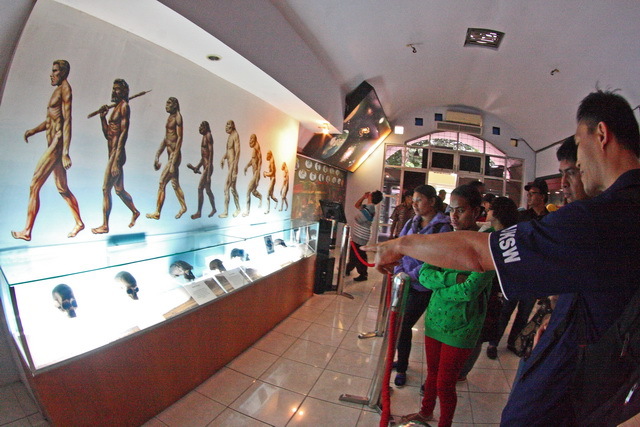 There are 4 clusters of museum namely; Krikilan, Ngebung, Dayu, and Bukuran. Each museum will showcase a collection of the Sangiran from the sea floor to the mainland. You are curious, please go to Solo and continue to Sangiran which is about 30 km. Sangiran is ours, because of world heritage.